I always have a hard time separating the tree sparrow from the house sparrow, trying to remember which one has the black spot on its cheek. This one has no black spot, and a gray cap. 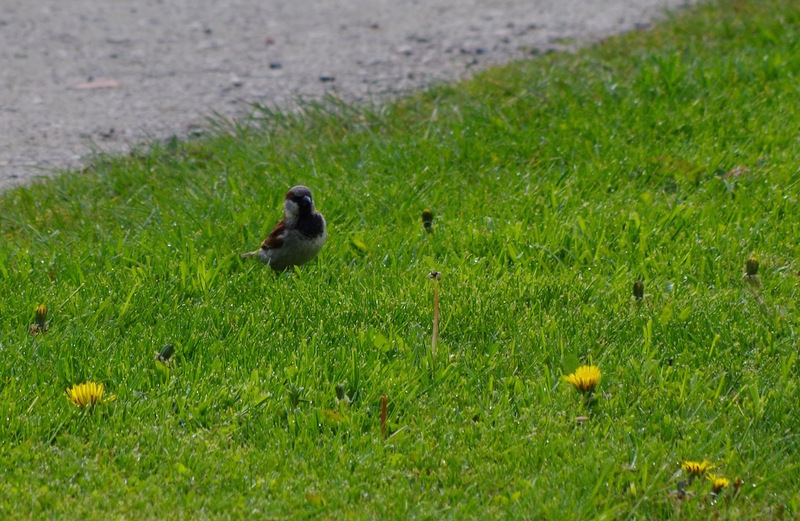 Hence, according to the literature it's a house sparrow. Vänersborg, on May 11, 2015.